What are some examples of direct measures of student learning? Some examples of direct measures include, but are not limited to: comprehensive exam, capstone project, projects, assignments, papers or presentations associated with a required structured internship, portfolio, thesis, dissertation. What are some examples of indirect measures of student learning? Some examples of indirect measures include, but are not limited to: graduate survey, alumni survey, reflection paper, internship supervisor evaluation, employer survey, exit interview, advisory boards, student focus groups, anecdotal evidence. I have a Bachelor's, Master's, and Doctoral program at my institution. May I use the same student learning outcomes for all three programs? No - Each program must have its own student learning outcomes that reflect the level of knowledge, critical thinking, and analysis that you expect at each academic level. For example, an undergraduate student might be expected to: "Demonstrate knowledge of the CPC content areas," while a master's student would be expected to: "Apply knowledge of CPC content areas," and a doctoral student would be expected to: "Summarize and interpret knowledge of CPC content areas." Use Bloom's Taxonomy to help you write appropriate program-level student learning outcomes. My institution has three separate campuses that offer sport management degrees. Do all three sites have to be accredited together? All off-campus locations of an institution that offer degree programs in sport management fields normally will be included in the COSMA accreditation process, as long as those programs are under the degree-granting authority of the institution seeking accreditation. Where multiple campuses exist within the framework of one institution, the COSMA Board of Commissioners will determine which campuses may be included in a single self-study. In the self-study, the burden of proof is on the program to show how the resources (e.g., faculty, facilities, etc.) are similar and different on all campuses and/or how resources are shared between the three campuses. The program must show how students on each campus have equal access to resources. If the program chooses not to provide information on all three campuses, a rationale must be provided as to why not. Operational effectiveness is the ability of the sport management program to accomplish its operational goals and objectives. Its scope is program-based, not inclusive of the larger institution. How many hours are required in the CPC (common professional component) table? There are no minimum or maximum hours required in the CPC table. The purpose of the CPC is to ensure that the CPC topical areas are covered in undergraduate sport management degree programs. The COSMA does not expect, however, that all of the CPC topical areas will be covered equally. It is the responsibility of the program to provide appropriate rationale for any significant CPC variations. For each required undergraduate course, the Abbreviated Course Syllabus should include a course outline specifying the CPC coverage in that course. Because a course may simultaneously cover multiple topics (for example, consumer behavior covered in a marketing course may also count towards psychological foundations), it is normal for the total hours of CPC coverage in a course to exceed the actual number of scheduled student contact hours. You need to identify where the topical areas in the CPC are covered in your required course offerings. This requires that you first complete an Abbreviated Course Syllabus for each required course. We are just starting a Doctoral program at my institution. Do I have to include it in a site visit? All programs in which a graduate receives a degree in sport management must be part of the accreditation process. Normally a new degree program will have been operational, with enrolled students, for at least two years before it is reviewed for accreditation by the COSMA Board of Commissioners. All new degree programs must be reviewed by the COSMA within five years of their inception. You can schedule a site visit for your undergraduate program to be reviewed before having two years of graduates in any new or graduate program, but once that program is eligible for accreditation, you would need to schedule another site visit. COSMA staff will work with you to minimize cost and administrative burden as you develop and expand programs as outlined in the Annual Reports you submit. Can my internship hours count toward the 25% dedicated to sport management courses? Field experiences are courses deserving of academic credit and they count in the 25% of coursework. The internship credit should count to the total sport management credit percentage and the CPCs should be covered sufficiently and based only on required courses (excluding fieldwork). Which elements of Principle 3 (Curriculum) do I need to include for my master's and doctoral programs? What is the minimum number of faculty I need for my program? COSMA does not specify the number of faculty needed. Your program will be evaluated on faculty load, program coverage, and resource allocation which will show whether you have “enough” faculty to effectively manage your program. How many faculty need to be doctorally-qualified? There is no specific minimum number of faculty that must be doctorally-qualified, except for those who teach students at the doctoral level. Some institutions or their sport management programs may be structured in a way that reduces the number of doctorally-qualified faculty. The flexibility also allows for faculty with special experiences or unique qualifications that meet a specialized need or for specific institutional needs. A high percentage of undergraduate and masters level credit hours will be taught by doctorally-qualified and professionally qualified faculty members. 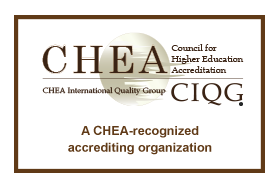 The evaluation team will review faculty qualifications including: current vita, transcripts of all graduate work, descriptive statement of each faculty member's experience and a listing of scholarly and professional activities. How do I calculate student contact hours in Tables 4? The easiest way to calculate student contact hours is this way: Number of classes/sections X number of student contact hours per class = number of student contact hours. For example, Professor A teaches 1 class with 3 sections and has 45 student contact hours in each section: 3 x 45 = 135. Please refer to your institutional policy (from the Registrar's Office). There may be some different ways to calculate the student contact hours for online or accelerated classes. How do I measure “ethics” for my faculty? Refer to your faculty policy manual when answering these questions. What would an ideal student/faculty ratio be? COSMA does not prescribe an “ideal” student-faculty ratio. An ideal student-faculty ratio would depend on your program's mission, goals and strategic plan. Preparing the self-study might help you determine an appropriate student-faculty ratio for your program. What would an ideal student/internship ratio be? COSMA does not prescribe an “ideal” student/internship ratio. How many hours does a student need to complete in an internship? a. Applies sport management core content and theory to hands-on practice. b. Provides professional, trained supervision and guidance. c. Enhances students’ understanding, ability and knowledge of the sport management industry to develop skills that directly translate to a future career in sport. d. Clarifies students’ career goals. e. Develops relationships with sport industry practitioners. f. Provides students employment and networking opportunities. Principle 7.7 External Accountability: What information about student achievement must be public? Programs are required to publish the two matrices included in the outcomes assessment plan - the student learning outcomes matrix and the operational effectiveness matrix. In addition, a "program information profile" is required, though programs may select which measures are documented. All programs are required to provide this information on one webpage and it must be updated annually. I am a site reviewer. What gifts may I accept from institutions? Tickets to sporting events? Please refuse any gifts offered to you. The institution is allowed to buy your meals, but no memorabilia should be accepted. Tickets to sporting events should not be accepted. Please take notes and do not record any interviews. The institution should not record interviews either. COSMA will work with you to establish a site review schedule that is acceptable to you. Alumni interviews should be established if that is agreed upon by the program and the site review team. The two-day site visit template in the site visit manual serves as a guideline, but please tailor the site visit interviews to fit your institution and your program. As with alumni, this would be an excellent group to try to interview, particularly if it is central to your program's mission.